A couple weeks ago I talked to you guys about the benefits of hibiscus! If you weren’t able to get around to reading it, no worries, I’ll link it here http://www.total-foods.jp/2018/06/01/helpful-hibiscus/. The wonderful thing about steeping herbs and plants at home to make a tisane (herbal infusion) is that you can enjoy it hot or cold. 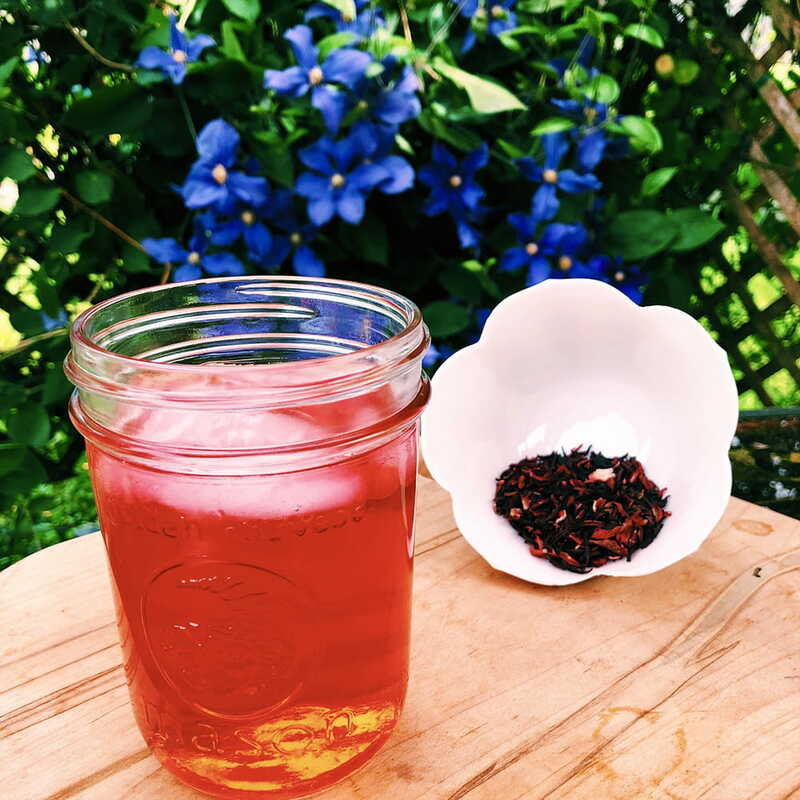 Since it’s summer and the temperature is heating up I thought I’d share my iced hibiscus recipe. I also love to incorporate fresh aromatics into my creations for an added bonus. The added ingredient I chose for this tisane is ginger. Ginger has about 40 antioxidant properties that also prevent free radical damage and protects against aging, much like hibiscus. Not only is it a great beauty food but it also helps aid in digestion, promotes brain function, blocks bacterial infections, eases inflammation and the list goes on. 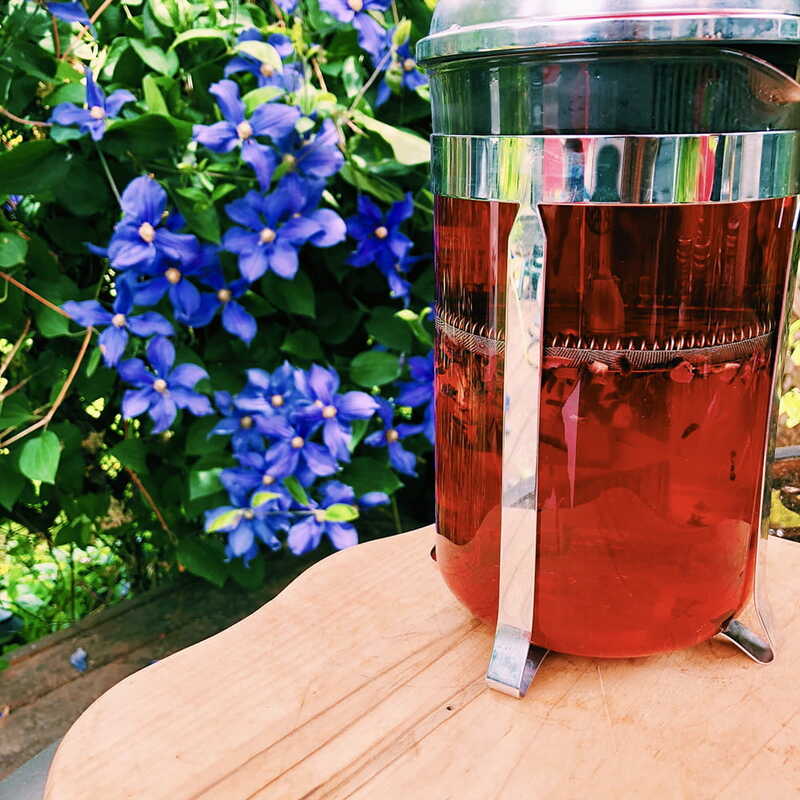 Knowing the benefits of both plants I thought I’d combine them to make a really fresh cold tea that will satisfy any midday pick-me-up. 2. 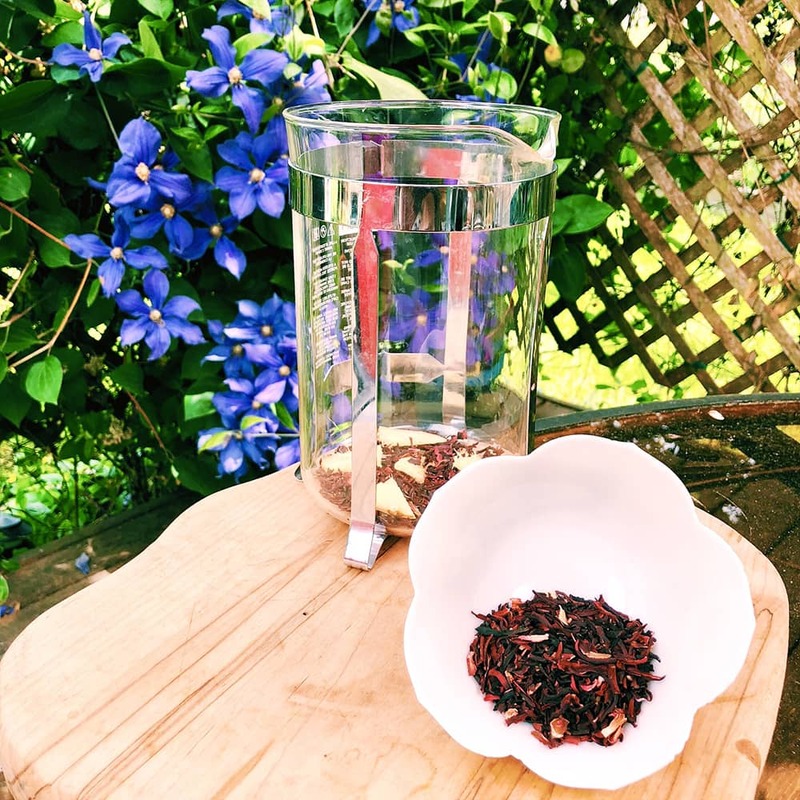 Gather the hibiscus and ginger in a French Press, or a tea strainer and pour the boiled water over it. 3. Let it steep for 5 minutes. Depending on the container you’re steeping it in, you might need more time for it to fully steep. My French Press is large and it usually takes around 7-10 minutes for it to fully steep. Make sure to check on it (you can taste it) to make sure tea isn’t getting bitter. 4. Once it’s fully steeped, pour into a glass with ice and enjoy! I like to add a little bit of stevia (plant based sweetener) to mine.